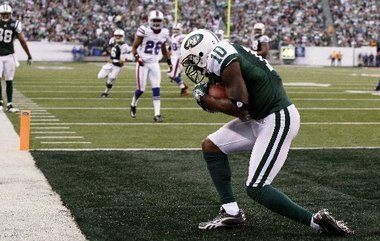 The Jets lost their last three games of the regular season in 2011 and all four pre-season games last month. This contest at Met Life Stadium on Sunday will tell a lot about who they really are and if this ‘Wildcat’ option will or won’t work. Right now the best thing they have going for them is their defense which might be all they’ll need to handle the Bills who they beat twice last season. Panthers over BUCS- This year the Panthers are already destined to be a much better team and not just because of the maturation of QB phenom Cam Newton. 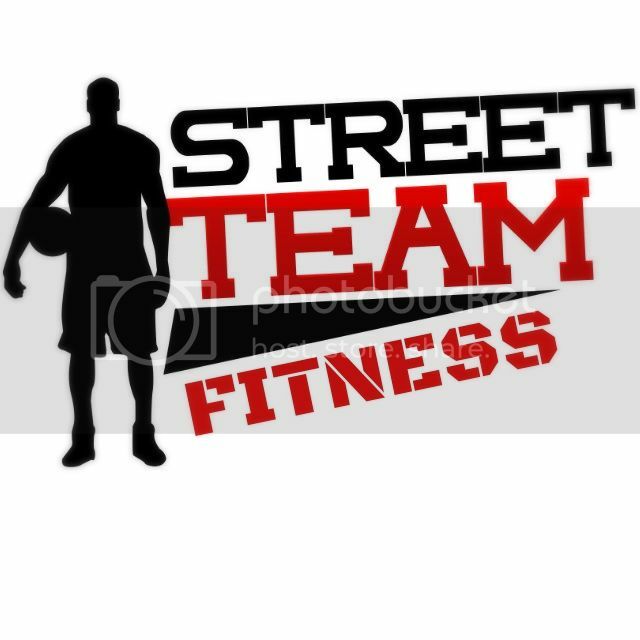 It’s their defense which was ranked 28th in the league last year that will be much improved . Three important components of their D have returned from injuries: Jon Beason, Thomas Davis, and Ron Edwards. They won’t be the ’85 Bears but you WILL see a difference. Plus it will be the second season for defensive coordinator Sean McDermott. Conversely, Tampa Bay has a new offensive coordinator in Mike Sullivan; a run first, tough disciplinarian. QB Josh Freeman is coming off a year in which he regressed dramatically from his 2010 numbers but perhaps the Vincent Jackson signing will help him to improve. The addition of Doug Martin is a good one as he’ll compliment a much better back in LeGarrette Blount but the Panthers just have too many weapons and a rising super star at QB to lose this one. Patriots over TITANS- New England begins their season on the road but it won’t really matter as they will be trying to shake off the remnants from the stunning loss to the N.Y. Giants in last year’s Super Bowl. There really is no reason why the Pats can’t go 14-2 or 15-1 this season because they are THAT good! Some of the changes on offense of note is WR Brandon Lloyd who takes the place of Deion Branch and Stevan Ridley who fills the spot vacated by the law firm BJGE now in Cincinnati . They still have 2 top tier tight ends, a top three QB, and pro-bowl kicker. And their defense is more than serviceable. 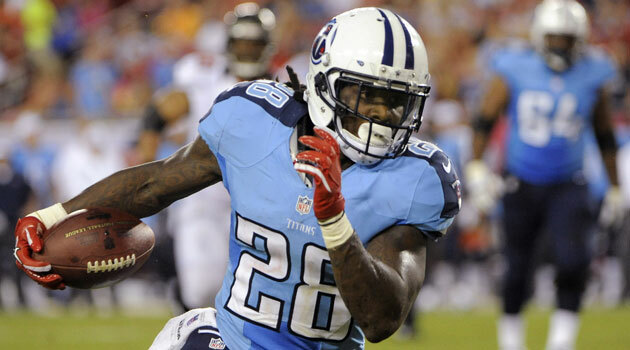 The Titans who have some nice pieces on offense, have a rookie QB and two more major questions that loom over this team: Will the Chris Johnson that we’ll see be more like the 2010 stud or the 2011 disappointment? And how will WR Kenny Britt fair coming off of ACL and MCL surgery? While we wait to find out, we’ll pick the Patriots to handle the Titans this week. VIKINGS over Jags- Jacksonville, even with some of their off-season pickups will need a few games under their belt to show how good (or bad) they are. Maurice Jones-Drew will need some time to shake off the rust from his hold out. We’ll have to wait and see if QB Blaine Gabbert, now in his second year, can hold on to the starting job with a limited amount of quality receivers and Chad Henne waiting on the sidelines. WR Laurent Robinson had a breakout season with Dallas last year but it’s one thing receiving passes from Tony Romo and it’s quite another when it’s Gabbert. The Vikes have two potential sleepers on their roster to watch. RB Toby Gerhart who will get a nice share of carries with Adrian Peterson not 100%, and Visanthe Shiancoe’s replacement second round pick TE Kyle Rudolph. He’s an excellent receiver who just might surprise this year. And of course their best playmaker, Percy Harvin, will be a major part of their offense. I think Jared Allen & the rest of the Vikings defense keeps the Jags out of the endzone in this one and gives Minnesota the victory. CARDINALS over Seahawks- The Cardinals have a pretty good team that’s coming off a rather impressive end to last season when they won 5 of their last 6 games including wins over the 49ers and Cowboys. Of course there’s Larry Fitzgerald, old reliable, and now rookie Michael Floyd on the other side of Fitz. TE Todd Heap is getting up there but can still draw atttention and RB Ryan Williams who has the potential for having a sleeper season. Seattle might be without their feature back Marshawn Lynch (back spasms) who, as of Friday night, is still listed as Questionable. His absence would be huge and would mean that another possible sleeper, Robert Turbin, would get the starting nod. He runs low to the ground and has some nice speed for a 5’11” 222 pounder. Keep your eyes on him if gets some major playing time on Sunday. 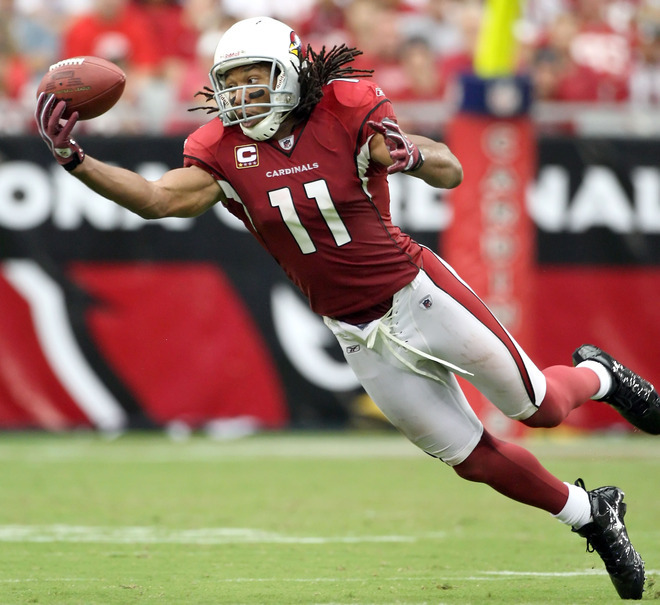 Still and all it won’t be enough to match the more talented roster of the Arizona Cardinals. A round of applause for Roger Goodell and his spiraling idiocy ! Now in light of the overturning of the suspensions of the four current and former Saints’ players , can the commissioner look a bigger fool than he already is ? This latest blunder won’t endear him to the masses as he’s looking more and more like a buffoon in the court of public opinion! The day Goodell got the job , he was already a buffoon ! His acceptance speech bordered on ineptitude at its very worst . What might be even be more galling is the very fact that some of the most powerful owners in the NFL backed him as Paul Tagliabue’s successor without ever really having a real interview process of multiple candidates . So what does that indicate to you about the NFL being an old boys’ network and being self-absorbed entity ? Agreed on what you and Alan say about Goodell. Now they’re planning a 5 week ref schedule with the replacements! I wonder if some of the weird stats in week one didn’t come from poor or missed calls. I’ve more implicit faith in the girlfriend telling me that she’d like to role play a scene from 50 Shades of Grey , than hearing that Goodell is still seeking an agreement with the NFLRA (referees’ union). This crap could have been amicably settled months ago , if the commissioner hadn’t been such a bonehead ! That’s exactly what the Refs said in week two of the preseason. The longer this goes, the more I’m inclined to agree that Goodell is trying to “flex some muscles” rather than settle a dispute! I am really bad at picking games. So bad in fact, that I picked the Bills over the Jets….yesterday. That’s what I’m here for. I went 4-1 over the weekend- Not too bad to open the season. So we’re agreed…I pick the football games, you do the comedy (and great tunes)!